Looking for a different browser to use on your mobile phone instead of the preinstalled Internet browser? Unlike the three mentioned here previously, these four alternatives offer helpful tools for finding what you want on the Web quickly on your mobile phone. 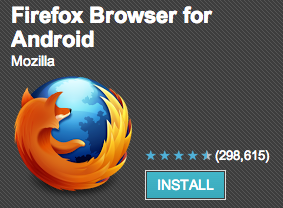 If you enjoy using Firefox on your desktop, it’s also available free for Android phones. Firefox Mobile features all those add-ons you like with the desktop version and you can create a handy list of most-visited sites—all on one page. It supports many cell phone manufacturers including LG, Sony, Samsung and HTC with Android OS of 2.2 or higher. The Sync feature allows you to meld all your devices for easy access Firefox favorites and this alternative browser uses HTML5 and Flash videos are crisp and colorful. The Reader Mode turns your favorite RSS feeds, bookmarked sites or favorites into easy to read uncluttered pages. 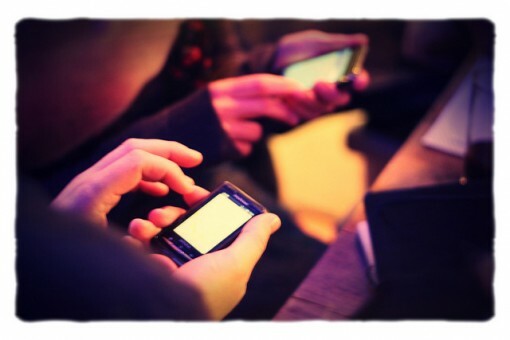 Like the desktop version, security for your mobile device is top-notch. As the Washington Post says, this browser will be giving Chrome a run for its money. TeaShark uses Java and a Webkit engine to ensure fast Internet surfing. The direction arrow-like buttons allow for easy navigation and once installed, explore both the reading mode and the scanning mode. RSS feeds are easily accessed and its “start page” allows you to jump to recently-visited pages, bookmarks or the Google search bar. Tagging favorites becomes simple with color-coding and TeaShark’s zoom tool is a favorite of users as is its full-screen browsing feature. It provides smart searching with URL suggestions and requires Java MIDP 2.0. Newer to the mobile phone browser arena, TeaShark is now in beta offering a chance for new users to offer valuable input for future features or changes. Available for both iOS and Android, Opera Mini, a mobile version of Opera that is largely popular overseas, offers two features favored by users—it uses 90 percent less data than other browsers and offers an “off-road” mode where you can save data and take advantage of cheaper browsing. Much like its big sister Opera available for Mac, Windows or Linux, Opera Mini allows you to create bookmarks and favorites into fun and colorful image boxes. Security is solid and a nice feature is its ability to pause and resume movies and tunes. This mobile browser is so vivid and user-friendly you just may change the browser on your desktop to Opera and take advantage of it with your home Internet provider. UCBrowser has been available for mobile phones for quite some time and it’s starting to catch on in the U.S. With 400 million worldwide mobile users, UCBrowser offers an easy download by system and it works on iOS, Android, BlackBerry, Windows, Java and Symbian systems. Included are RSS support, password manager, advanced search by engines you select, an email to support a ton of email applications and personal data management that allows you to sync downloads from your phone to your desktop. UCBrowser adds to your phone’s user interface with multiple start screens and themes and wallpapers you can customize. Security comes with the Incognito Browsing feature and it also has a built-in ad blocker and an easy-to-use screenshot function that allows you to write notes about captured images. If you’re looking an alternative browser other than the one that came with your mobile phone, one of these four choices will do the trick because they’re dedicated to mobile devices only, they may actually enlighten you to use more features on your phone. Morgan Sims is a writer and graduate of the University of South Florida who loves all things tech and social media. When she’s not trying out new gadgets and tweeting she spends most of her time with her dog, cooking and staying active. Follow her on Twitter: @MorganSims00.